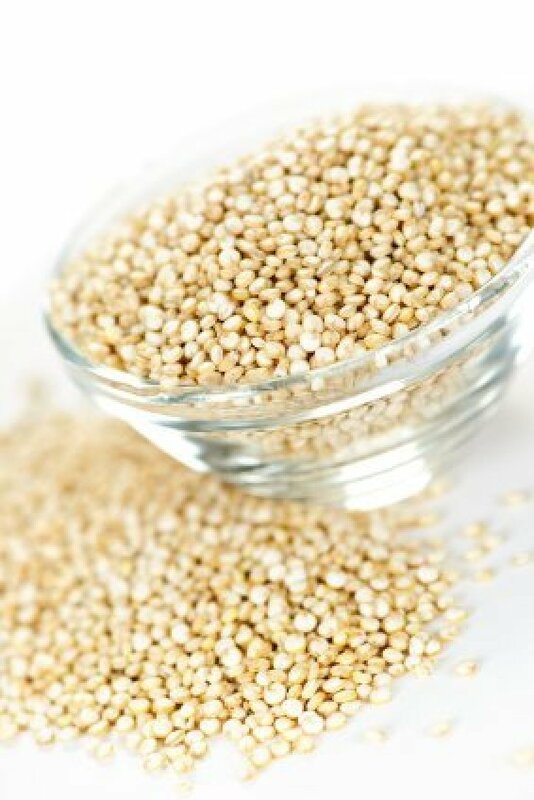 Quinoa is an excellent source of protein and delicious in many different dishes. This page contains recipes using quinoa. 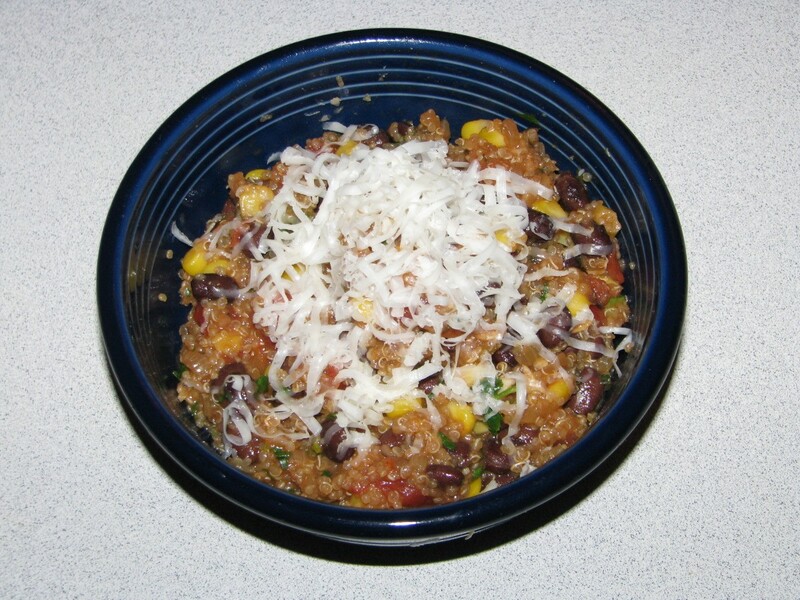 Share Your CraftCheck out these Recipes Using Quinoa shared by the ThriftyFun community! An easy and hearty vegetarian side dish that is also nutritious. This page contains quinoa and black beans recipe. This is a guide about lentil and bean quinoa salad. This cold lentil, bean, and quinoa salad is easy to make and only uses a few ingredients. It is a perfect salad for a side dish or light meal. 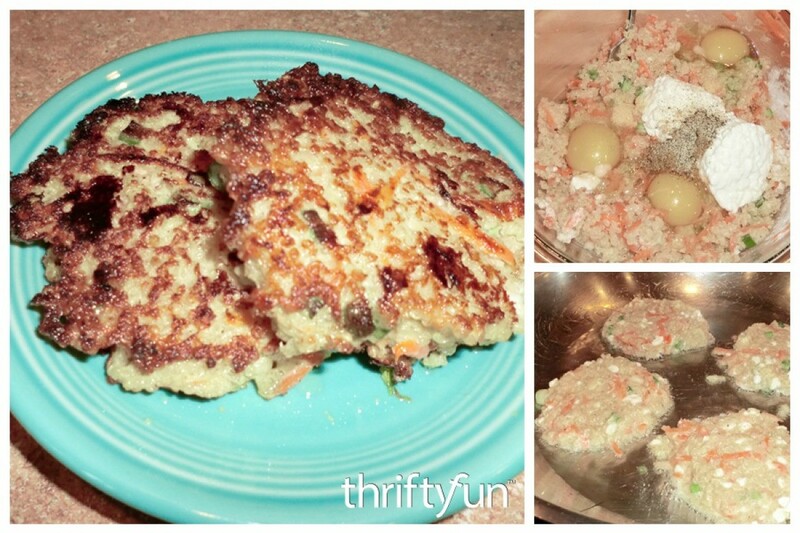 These quinoa and vegetable burgers are a delicious alternative to meat patties. This is a guide about quinoa burgers. 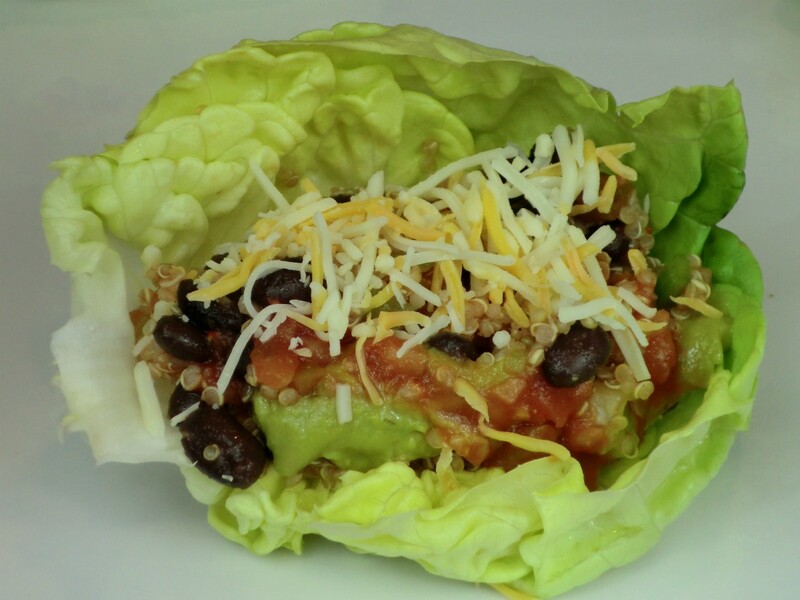 This page contains a spicy quinoa lettuce wraps recipe. Reduce the calories with these nutritious, vegetarian lettuce wraps. 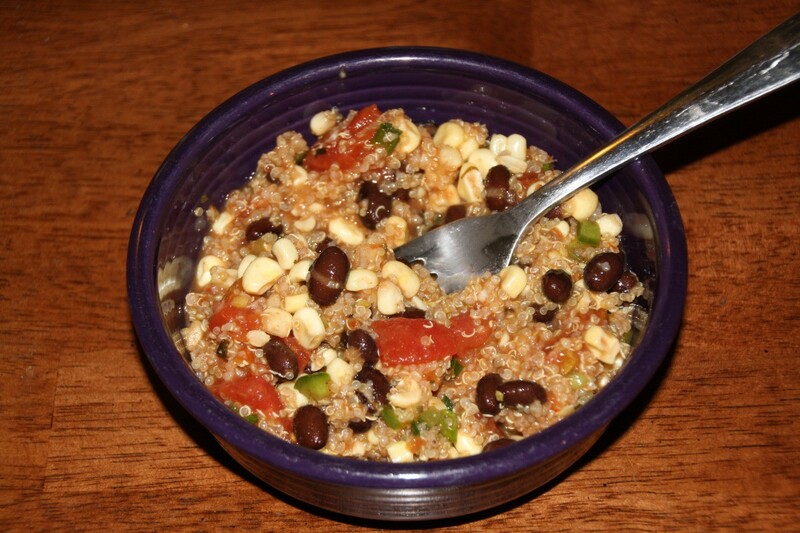 This page contains black bean quinoa salad recipe. 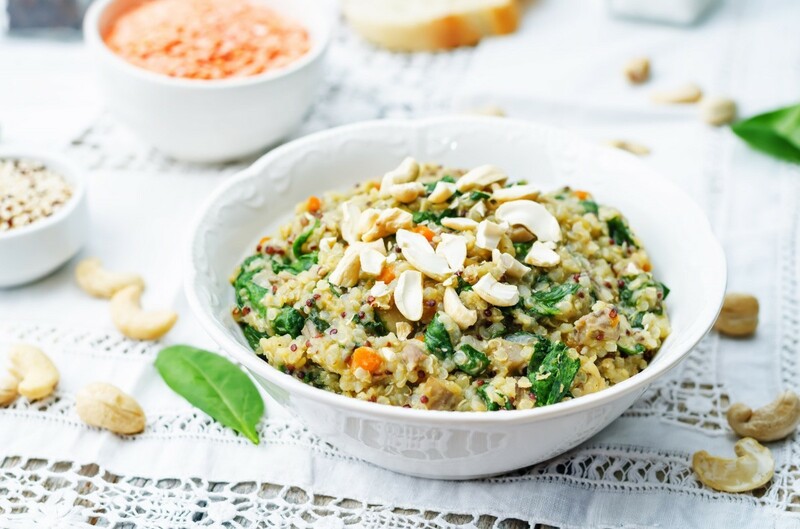 A quick, delicious salad to make with versatile quinoa for a protein rich meal or side dish. 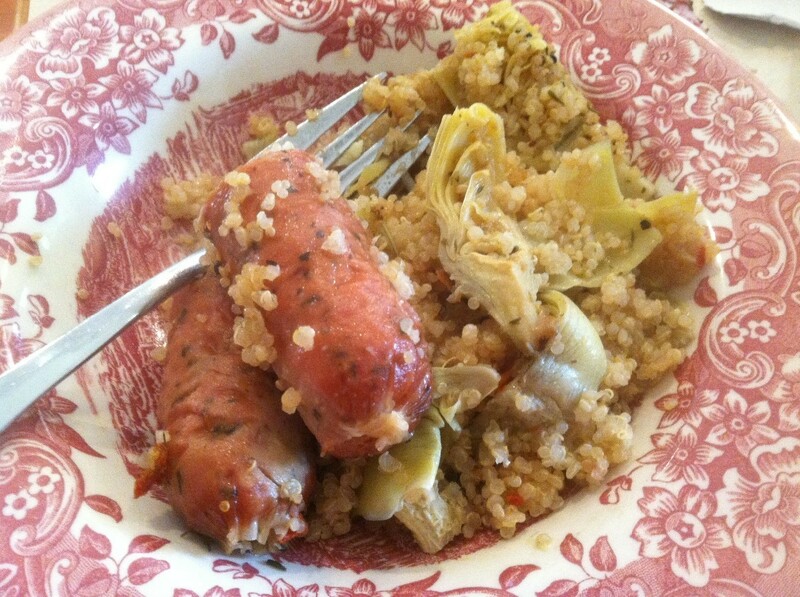 This page contains a quinoa and chicken sausage pilaf recipe. 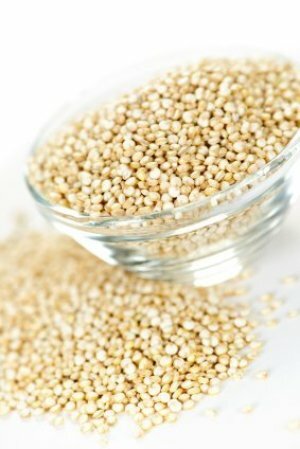 A popular, tasty, so called ancient grain, used in place of rice, quinoa is actually a seed that is very high in protein. Combine some of your favorite foods to make this delicious, nutritious dish. 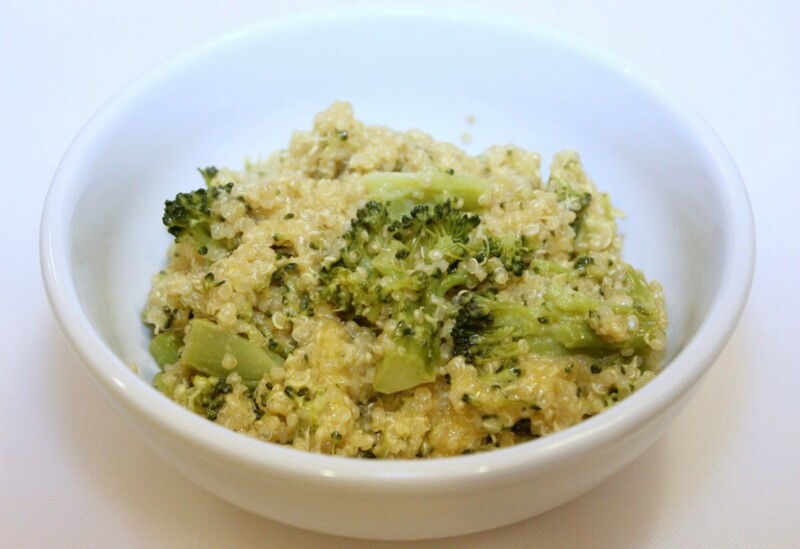 This page contains a broccoli cheese quinoa recipe. 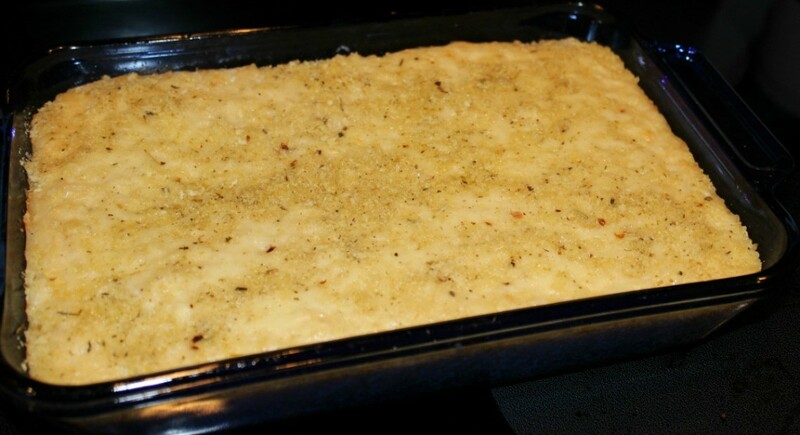 This page contains a recipe for making cheesy quinoa casserole. If you are tired of the same old casseroles, try one made with quinoa. Share on ThriftyFunThis guide contains the following Recipes Using Quinoa. Have something to add? Please share your solution! Tired of eating quinoa plain? Spice it up with some seasoning and toss with corn, spinach, garbanzo beans and green olives. You get a balance of vegetables and protein! You can eat this as is alone, or with other food. Stores well in the fridge for the week. Pull the husks of the corn back, but not off. Remove the silk from each ear of corn and then pull the husks back up. Roast the ears over a hot grill for 5 minutes, turning the ears several times so that they roast evenly. 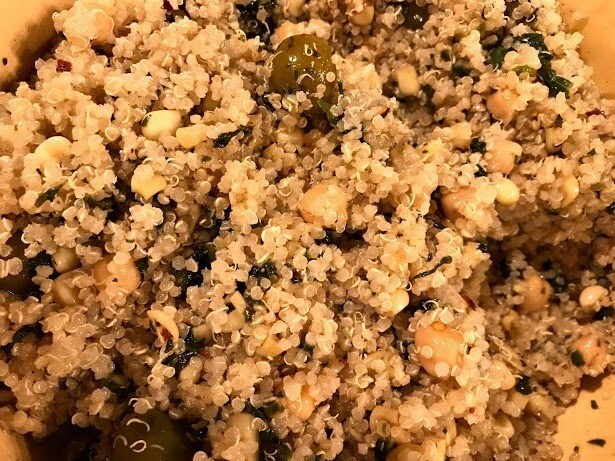 Ask a QuestionHere are the Recipes Using Quinoa asked by community members. Read on to see the answers provided by the ThriftyFun community or ask a new question. My doctor told me to eat more fiber and someone told me to eat quinoa. I looked for some in the grocery store, but couldn't find any. What I need to know is where in the store is it located? I'm also looking for some quinoa recipes, maybe something that I can cook in my crockpot. I was reading someone's blog where she was talking about Quinoa. I think it is a grain that kind of looks like rice. I was wondering if anyone has any good recipes for it?